My name is Stacey and I’m studying for an MA in Museum Studies at the International Centre for Cultural and Heritage studies at Newcastle University. I developed a passion for Mexican history and culture during my first year at university after learning about the Aztecs and their legacy. I enjoyed the subject so much that I decided I had to visit Mexico; my first visit was in 2007 and I was lucky enough to go again in 2010. When it came to choosing a topic for my MA dissertation it didn’t take long to decide to do a project on the Aztecs! 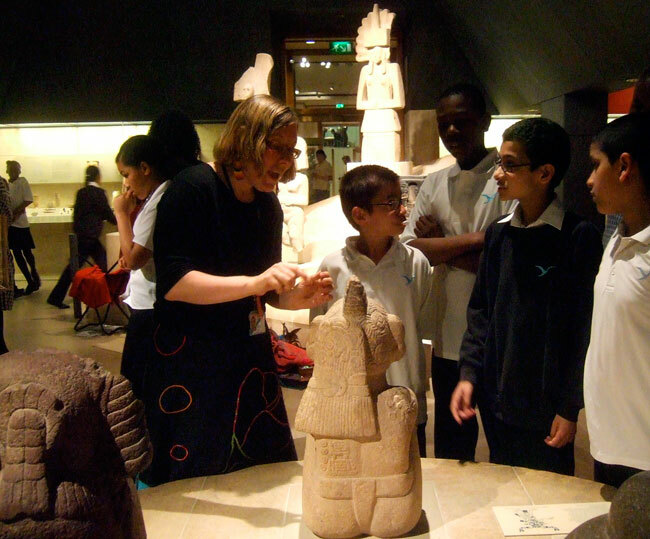 There are three aims to my project; the first is to look at the range of Aztec collections in UK museums, the second is to look at how the Aztecs have been represented by UK museums and the third is to find out what people think of the Aztecs as a museum topic. I am planning to use public surveys to find out the answer to the third question. The purpose of the surveys is to find out whether people are familiar with the Aztecs and whether it is a subject they are interested in. During the first two weeks of August the link to the questionnaire will go live on Mexicolore. I am hoping to hit a target of 100 respondents and would be very grateful for your help in making this happen! I will also be asking a random selection of 200 people who may or may not have heard of the Aztecs to fill in the surveys so that I have a wide range of results to compare. The surveys will be completely anonymous and the results will be published on Mexicolore in September. Hopefully at the end of this project I will have a better understanding of the number of Aztec objects in UK museums. I plan to use the information to create a factsheet so that everyone who is interested in seeing authentic Aztec objects in museums will know where to find them.